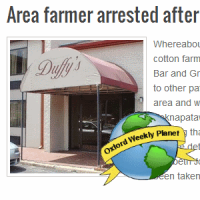 The Crime Beat column reports: A farmer was arrested in possession of what he claimed was a human hand. 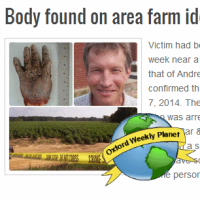 The Crime Beat column reports: A body was found on an area farm. Its possible connection to the severed hand is undetermined at this time. 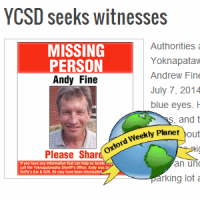 The Crime Beat column reports: The YCSD is asking for the public's help in locating a missing person. The local news reports live from the crime scene, where a body was found buried near a cotton field. 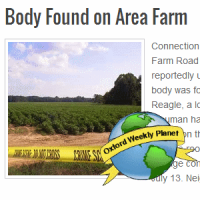 The Crime Beat column reports: The body found on Reagle Farm Road has been identified and linked to the severed hand recovered one day before.